Many people who are seriously injured in a car accident initially seem more upset about their property damage and the insurance companies' refusal to pay for the diminished value of their vehicle. Why is this? Insurance companies do not settle serious accident claims - not typically, anyway - until far later down the road when the client has recovered or reached maximum medical improvement (the healing has come as far as it will). Property damage claims are immediate, so it gives the victim the first glace of the extent to which the insurance company will completely jerk them around. Diminished value claims are tailor-made for insurance companies not to play it straight. Insurance companies do not play fair when it comes to the diminished value of the victim's vehicle. Sounds great. The problem is that insurance companies, at least in Maryland, ignore diminished value claims. How? Maryland law allows plaintiffs to bring a diminished value claim, but the insurance companies understand that most lawyers will not touch property damage claims unless they are connected to a serious injury claim (we are guilty of this). So for most diminished value accident claims, no one is willing to hire an expert and file a lawsuit. So, unless you take them to the courthouse steps and beyond, these claims are unlikely to get paid. This problem has become an even bigger deal with the rise of CarFax which allows everyone to quickly check the accident history of a vehicle. This cuts down the market for potential buyers when you go to sell the car. The most surefire way to beat the insurance company in a diminished value claim is the long way -- a lawsuit. What is the answer? Well, if you have been seriously injured in an accident, your lawyer may be willing to push the ball on your diminished value claim. If not, there are not a lot of great options. The best is not the one you want to hear: push the insurance company by filing suit on diminished value, let them know you know you need an expert and line one up, and then settle your claim for the best value you can get. Property damage claims: how they work and how can you put yourself in a position to get the best deal. 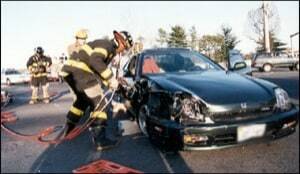 We handle serious injury Maryland auto accidents and have prevailed at trial in hundreds of car accident cases. A diminished value calculator that computes the exact value of the loss on the vehicle that a court could rely upon would make these claims a lot easier to manage. But there is no formula for these appraisals. The loss of value depends on the type of car, the type of collision and a host of other facts. *Note: Miller & Zois does not endorse these experts. We are merely passing along the names of these experts who may be able to provide evidence that your vehicle is diminished in value because of its repair history. Plaintiff incorporates the above-referenced paragraphs as if the same were fully set forth herein. Defendant's negligence caused substantial and extensive property damage to Plaintiff's 2013 Honda Accord ("Plaintiff's car"). On the date of this collision, Plaintiff's car had an odometer reading of 742 miles and it had not been previously damaged. The damage to Plaintiff's car was repaired at a cost of $18,398.16 and took at least 45 days to repair. As a result of Defendant's negligence, the resale value of the Plaintiff's car has been significantly diminished because future buyers will know of the damage to the vehicle and the price will reflect this car crash. The car is brand new. There has been no prior damage. Plaintiff has not been reimbursed for the diminished resale value loss to her vehicle. WHEREFORE, Plaintiff, demands judgment against Defendant Miner in the amount of Ten Thousand Dollars ($30,000.00) in compensatory damages, plus interest and costs. A diminished value claim is permitted in Maryland if the sum of the diminution in value plus the repair costs is less than the difference between the vehicle's pre-accident value and its post-accident salvage value. Accordingly, a Maryland plaintiff can claim the smaller of: (1) the sum of the repair costs plus any decrease in value of that vehicle after the repairs, and (2) the difference between the vehicle's value before the car crash and its value after the accident before any repairs (the salvage value). Contacting Our Law Firm: Our lawyers handle only serious injury car accident claims. If you or someone you love has been seriously injured in a car or truck accident call 800-553-8082 or get a free online consultation.